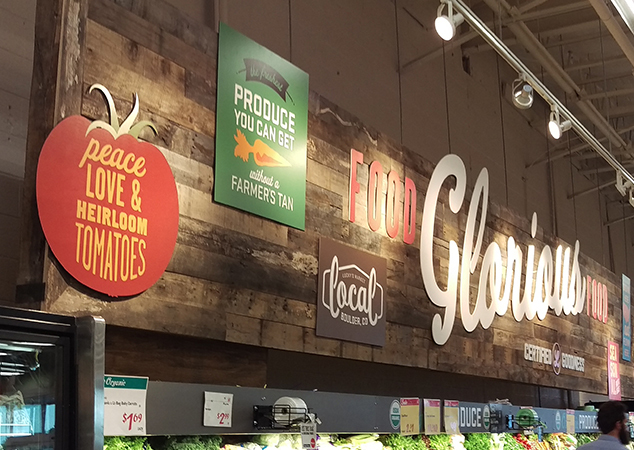 Lucky’s Market is a specialty grocery chain focused on organic and locally grown products. Their leadership team has an aggressive growth strategy in place with a slate of new store openings planned. However, the accelerated pace was leading to expensive signage overruns, was requiring too many resources to install and supervise, and it was taking too long to complete the installations. We analyzed their graphic spend and store distribution costs. Not only could Lucky’s Market benefit from lower unit costs by buying their POS in bulk, we also provided dedicated asset management and project management resources that understand rollouts. We leveraged our asset management technology to manage graphics and assets to dramatically reduce overall costs and expedite speed to market. Install time was reduced by 50%, as was the amount of labor needed for installs! With dedicated product and asset management personnel, we were able to reduce costs by more than 30%. Time and budget reductions and lower demands on corporate resources allowed them to focus more on customizing each location for local emphasis and branding.